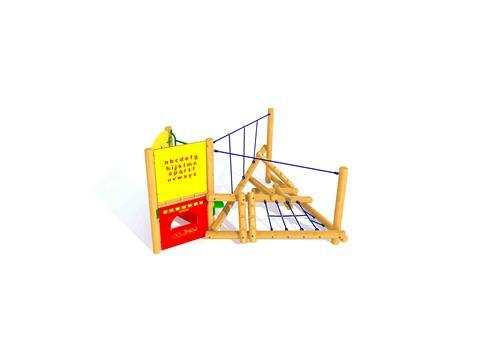 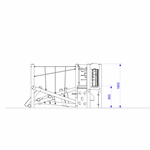 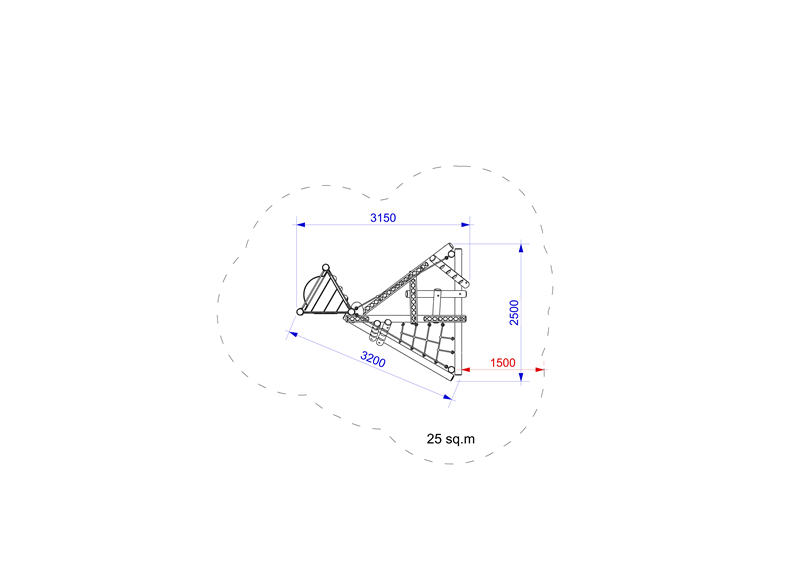 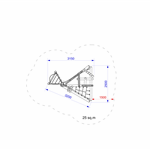 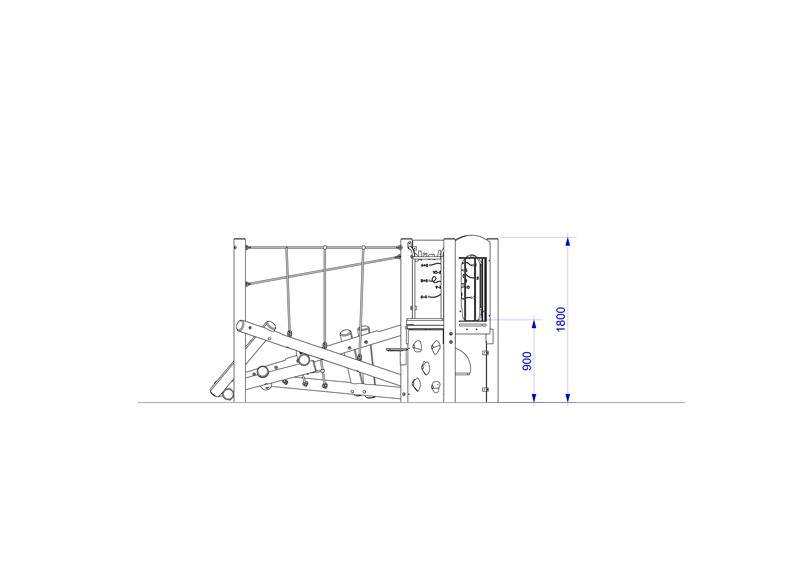 A low level, triangular framed log climbing frame with deck, climbing wall, alphabet activity panel, role play panel, scramble net, and rope handrail. 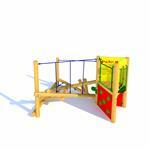 Offers smaller children easily accessed balance and strength challenges alongside literacy learning and role-playing. 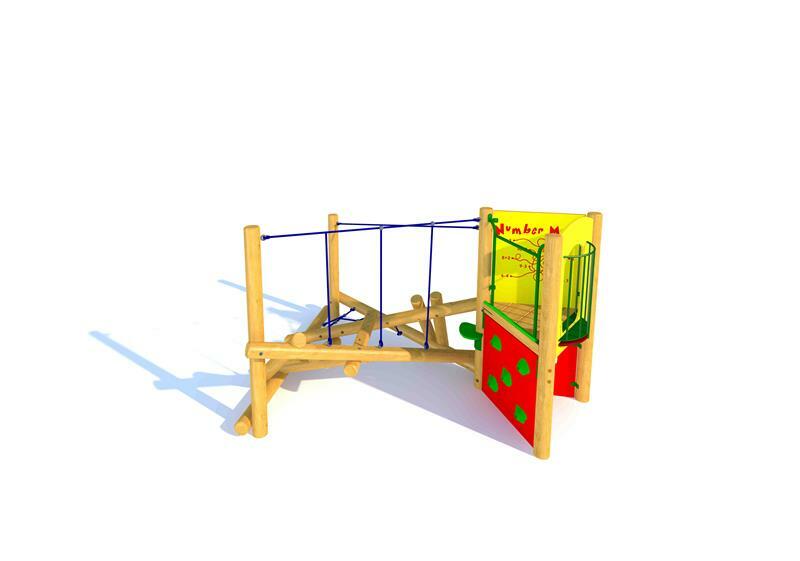 Perfect for physical development and building confidence as the frame is climbed higher up to the deck lookout, whilst also developing social skills and helping forge relationships through imaginative play and den making.